North Korea has reportedly drilled several underground tunnels at it nuclear test site in the village of Punggye-ri, North Hamgyong Province, apparently for its third nuclear test. A South Korean government source said Sunday that the North has dug at least three tunnels in Punggye-ri since last winter and that the sites are under close surveillance by South Korean and U.S. intelligence. Pyongyang conducted nuclear tests in Punggye-ri in October 2006 and May 2009. According to intelligence, the depth of the L-shaped underground tunnels is estimated at 500 meters to 1 kilometer, and North Korea excavated tunnels simultaneously to select the best location and depth. Another source said the North has been preparing for another nuclear test in Punggye-ri since last winter and irritated the U.S. by intentionally showing busy activity on clear days so that U.S. reconnaissance satellites would capture the scene. The latter statement rings true to me. 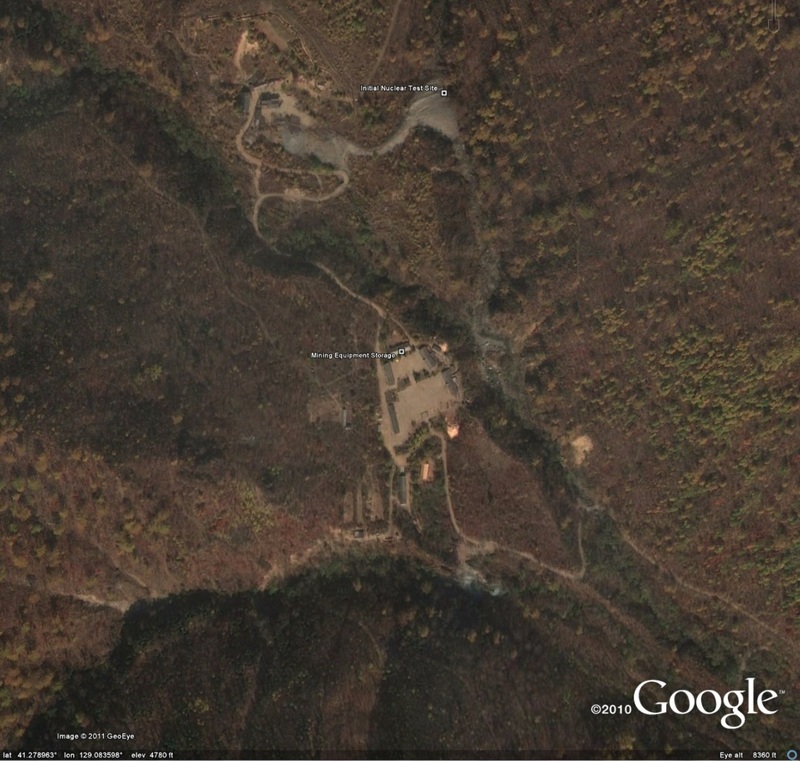 I posted satellite images of this site in November 2010 when the DPRK last made a scene by drilling at the sensitive location. You can see those pictures here. Here is additional coverage in Yonhap. 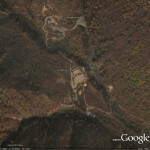 This entry was posted on Monday, February 21st, 2011 at 3:45 pm and is filed under Google Earth, Military, Nuclear. You can follow any responses to this entry through the RSS 2.0 feed. Both comments and pings are currently closed.